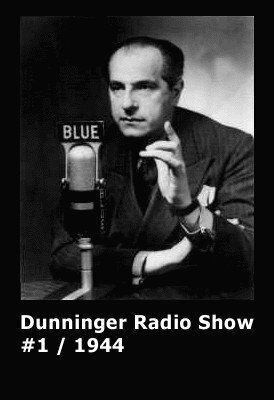 Dunninger performed his mentalism on the radio in 1929 and from 1943-1944. This is one such episode from January 19th 1944. The feature effect is a ticket divination and the three guests are Beatrice Kay, singer, Carmel Snow, editor and John G. Shalit, entrepreneur. This show #1 recording is not of the best sound quality. The other shows are of better quality. However, remember that these are old radio shows from the 40s. These are not your typical hi-fi CD quality recordings. The MP3 format allows you to listen to it with your iPod or other MP3 player.